on the 21st day of June A.D. 1910. 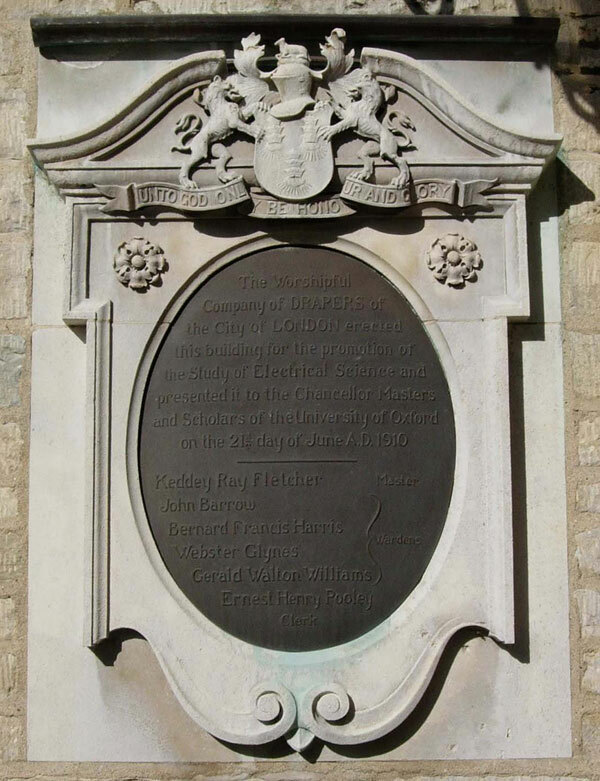 This inscription is on the Electrical Laboratory (designed by Sir Thomas Graham Jackson) that was built in 1908–1910 and attached to the Old Clarendon Laboratory by a bridge. It is now the Townsend Building. 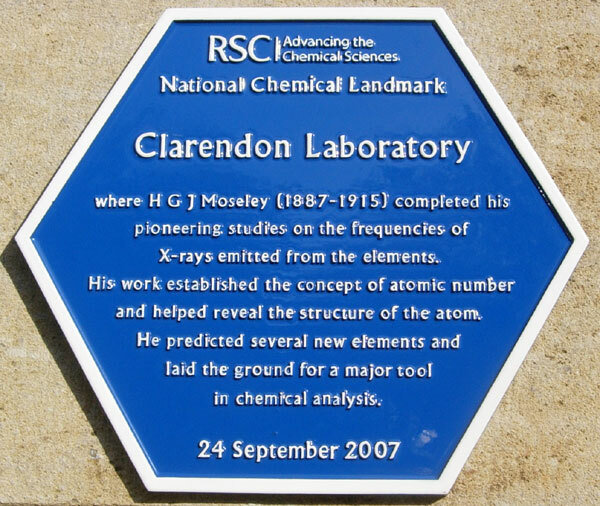 The Old Clarendon Laboratory was named after Edward Hyde, 1st Earl of Clarendon, whose trustees paid £10,000 for the building. It was completed in 1872 and was the oldest purpose-built physics laboratory in England. Substantially enlarged, it is now part of the Oxford Earth Sciences Department. X-rays emitted from the elements. and helped reveal the structure of the atom.